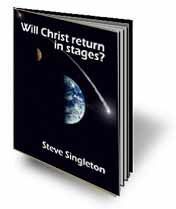 Will the Lord Jesus Christ return once, or in stages--once secretly and once openly seven years later? What does the Bible really teach? Does the Bible teach that our Lord Jesus Christ will return once at the end of time for the resurrection of all the dead and a day of judgment? Or does it teach that He will return before a literal 7-year period of trouble and then after it to reign on earth of 1,000 years? What evidence do we have one way or the other? Here in a few pages is a close examination of this important end-times topic.